- The club's logo commemorates the centennial year of the club's existence. - The letter 'F' is located on the back of the collar. This was my first foray into Kappa shirt and more specifically their fight fit, elasticated shirts. The shirt was great for highlighting features of your body but much preferred to wear your standard shirt materials. I like how the half and half colour scheme alternate as the shirt progresses down the shirt. 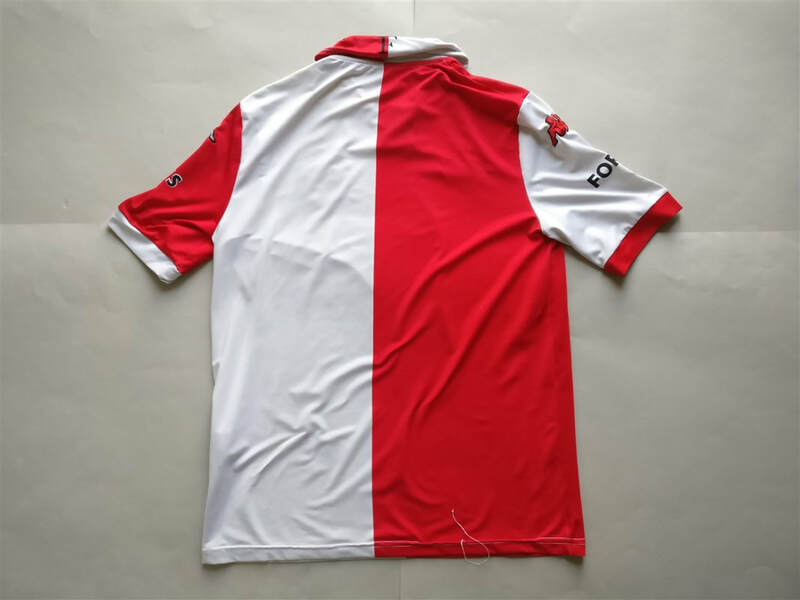 Feyenoord are located in the Feijenoord district of southern Rotterdam and is named after the district in which the club was founded. 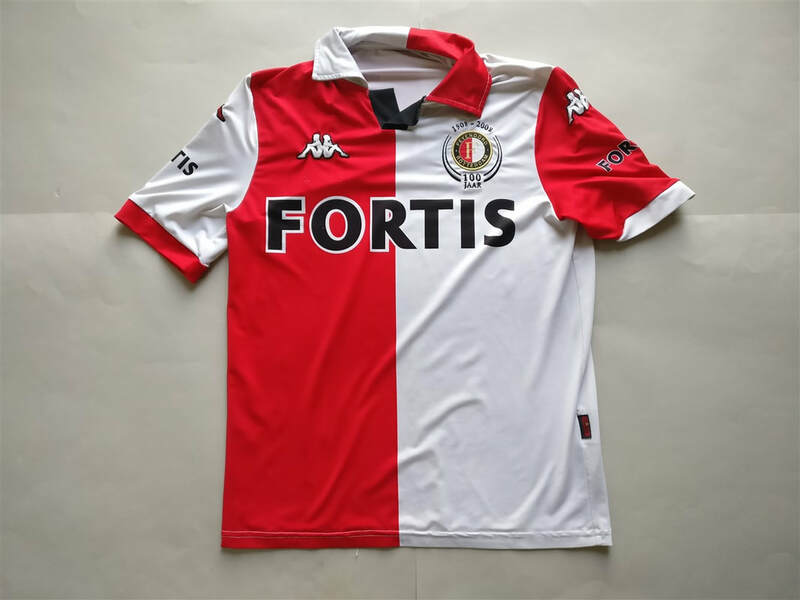 More frequent appearances in international tournaments led the club to change its name in 1974, because foreign fans unfamiliar with the Dutch language did not know how to pronounce "ij".